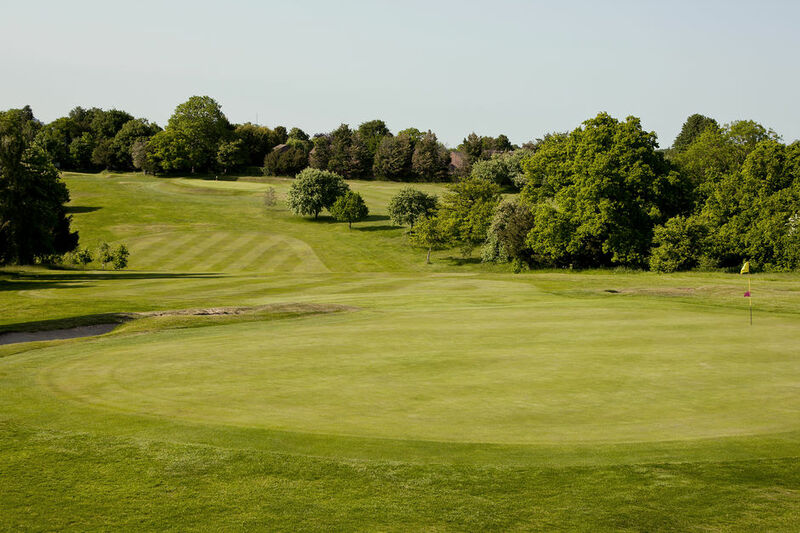 Sections :: Mature downland course, with its rolling fairways, and stunning views over the horizon of London. Our membership includes Full members, with unrestricted playing rights,6 Day members (who do not play on Saturday or Sunday mornings) and 5 Day members (who do not play at weekends). We have an Intermediates category for golfers aged 18 - 35 years old, which was established to encourage this age group into golf, and to remain in golf as their outside commitments grow. Intermediates enjoy a significant discount to their membership fees, with no restrictions on their playing rights. We have detailed the main sections below, but golf is not restricted to any particular formats, with plenty of opportunities for different sections to play together, in particular with regular mixed competitions on Bank Holiday Mondays, a mixed invitation, mixed matches and club knock-outs. This section include all male members and includes a large Seniors section for members over the age of 60, and an intermediates section for those in the 18 - 35 age range. Both the Seniors and Intermediates sections number around 100 members, and each has a selection of events specific to their group, in addition to the general events that are open to all ages. For the competitive golfer we organise a full golfing calendar with competitions being held throughout the year. These include stroke play, match play and stableford competitions. Regular Saturday competitions are held on the first Saturday of every month and the mid-week monthly competitions are held on a Wednesday, with numerous additional stroke-play competitions. There is a summer and winter matchplay schedule in singles, fourball and foursome formats. The Club also arrange a variety of matches against other local clubs in the area, both competitive and friendly. There are also a number of popular dinner matches throughout the year, including Irish v The Rest, Scots vs Sassenachs and the President's side vs The Rest, always enjoyable occasions. In order to assist new members to integrate into the club and be guaranteed a game, and for the pleasure of our existing membership "roll-ups" and "swindles" are held on a daily basis. The office has details of these. 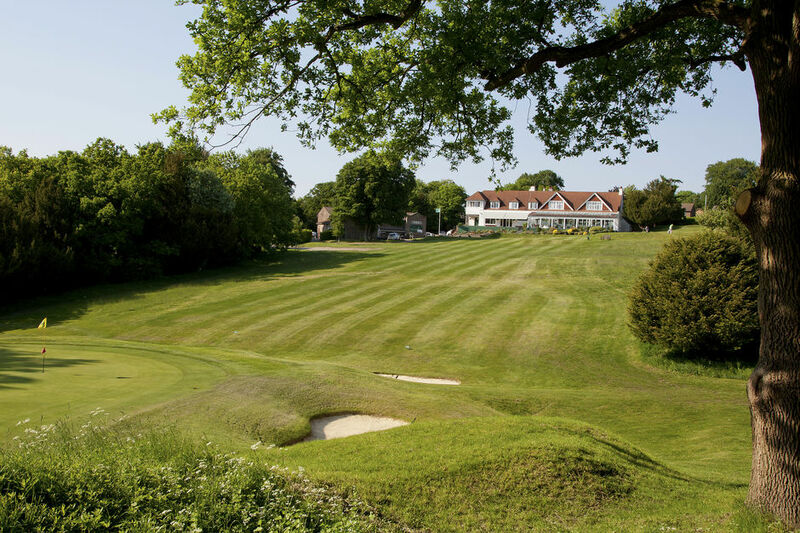 Non-competitive golfers are equally welcome and our 2 tee starting arrangements, segregating 2 balls from 3 and 4 balls allows ample access to the course for those just wishing to arrange their own friendly game. The Ladies' section is vibrant with near to 100 members. The Ladies play their competitions on Tuesday morning, usually followed by lunch, with some Ladies playing their competitions on the weekends. Various matches are played against other clubs to cater for different handicap levels, for example the Pearson Trophy being particular hard fought event. The Ladies Open and Ladies invitation are always enjoyable occasions. Juniors are very much welcome at Purley Downs. We have established a thriving and successful Junior Section. Our Juniors who age from 10 years to 18 years are the seed corn of the future and the Junior Organisers give them all the encouragement and direction which young people require. Free coaching is available as part of membership. We also have an active Junior Academy to help juniors progress their golf. We have a proud traditon of bringing golfers through the junior ranks, either progressing through to our intermediate membership category or in some cases moving on to professional golf. Social members have full use of the clubhouse facilities that include: dining, bridge and snooker. They can also attend all social functions. 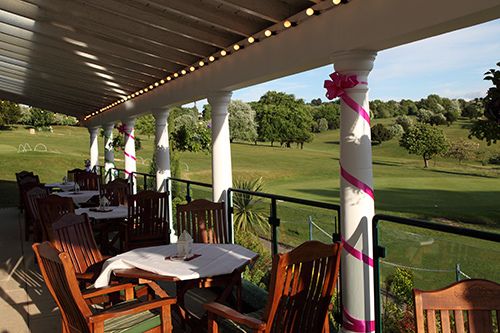 Why not join as a social member and come along and enjoy a relaxing drink on the terrace overlooking the 1st hole. We have two full size snooker tables on the first floor overlooking the course and matches are played against other clubs. You may book the tables for yourself and a group of friends, Ring the office and ask availability. There is a very lively bridge section with many bridge matches and bridge drives.